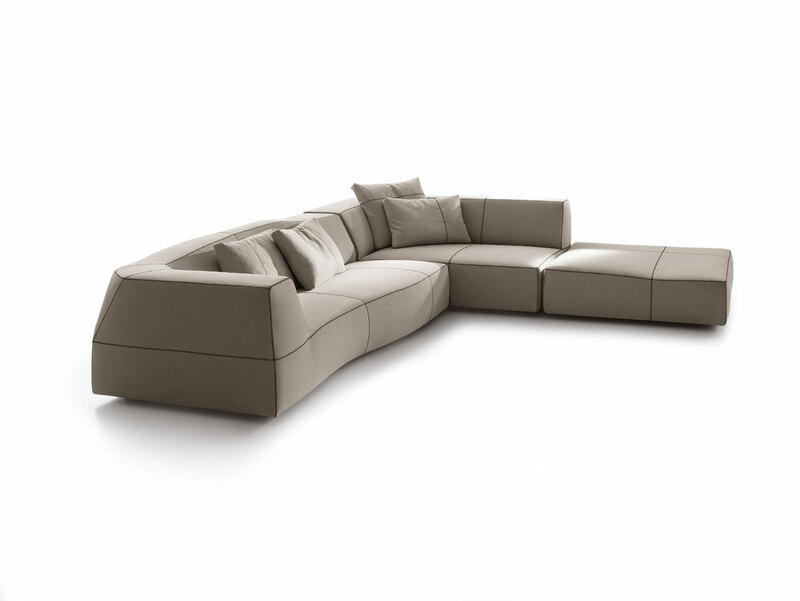 With its sinuous form, and varied depths the Bend system offers visual intrigue. 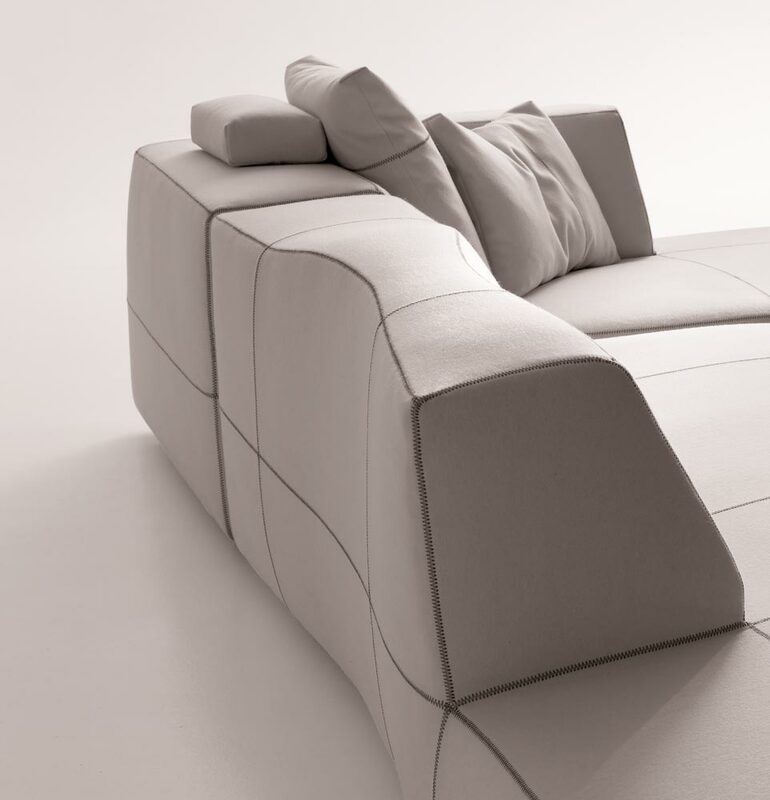 Designed by Patricia Urquiola for B&B Italia, this range lives up to the tradition of innovation within the company. The system comprises 10 elements, with left/right hand options, which can be combined in a multitude of different ways to create corner units, or linear benches. The bold contrasting stitching helps define the seating spaces, as well as the overall footprint of the range. Each composition is available in a full range of fabrics or leather for which we are happy to supply returnable samples. Please contact us by email at purves@purves.co.uk or call us on 020 3397 3723 to explore the detail on this sofa, and design your own configuration. * Category thumnail from price is based on Comp.005 with B177LS and B214TD elements in Cat.B fabric.